Michael Madsen, family & friend of The Cheese Box, has traveled all over the world as a film actor. He's tried hot sauces & mustard just about everywhere and decided to make his own. You're gonna love it! Only at The Cheese Box. Price is sold per 12oz bottle. Michael Madsen, family & friend of The Cheese Box, has traveled all over the world as a film actor. 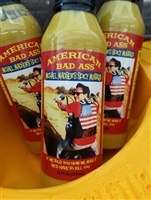 He's tried hot sauces & mustard just about everywhere and decided to make his own. You're gonna love it! Only at The Cheese Box. Price is sold per 5oz bottle. 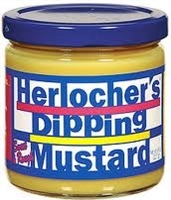 This "Sweet 'n Rough" dipping mustard is fat free, gluten free & salt free!